Exposure to latex found in protective gloves, adhesive tape, and a variety of other common products in the workplace can trigger allergic reactions that can be fatal for some people. Are You at Risk for Latex Allergies? Latex allergies have become a serious concern for workers in certain occupations that use latex gloves on a daily basis. After latex allergies were first discovered in the 1970s, there were over 1,000 reports of injuries and 15 reports of fatalities to the Federal Drug Administration (FDA). Since then, there have been thousands of reports of adverse reactions from latex exposure. Health care workers are especially at risk. It’s estimated that up to 12 percent of current health care workers are sensitive to latex proteins. To protect workers from latex allergies and workplace injuries, the National Institute for Occupational Safety and Health (NIOSH) offers prevention tips. For employers and workers who wear latex gloves, it’s important to recognize the symptoms of latex allergies. Common symptoms include itching; skin redness; skin rashes or hives; nasal, eye or sinus problems; breathing problems; asthma, and anaphylactic shock. Anaphylaxis is a serious allergic reaction that develops rapidly and may cause death. For workers who handle infectious materials and food products, appropriate barrier protection is essential. 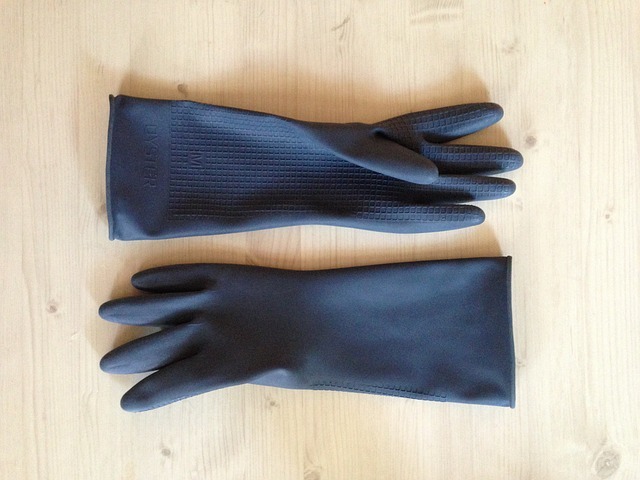 If latex gloves are used, powder-free gloves reduce exposure to latex proteins and the risks of latex allergies. Although latex gloves labeled as “hypoallergenic” have fewer chemical additives, they do not reduce the risks of latex allergies. If latex gloves must be used in the workplace, workers should take precautions to reduce allergic reactions. Workers should wash their hands with mild soapy water after removing gloves. Work areas should be cleaned frequently to get rid of latex dust. Ventilation filters should be changed frequently to avoid airborne exposure.